Pink Floyd drummer Nick Mason hosted a live global screening of exclusive audio and visual footage from the band’s forthcoming box set, “The Early Years 1965-1972”, on November 9 from YouTube Space in London, UK and video of the full event is available. Mason and mix/mastering engineer Andy Jackson were on hand to introduce the package via a live stream ahead of the November 11 release of the massive project, which presents 130 tracks from the band’s formative years. The drummer says the public’s passion for high quality audio and the advancement of home sound systems makes the timing of the box set ideal. “We’ve been through a dark period of everyone listening to everything on earbuds and MP3 players,” explains Mason. “Now we’re coming out the other side. It’s really quite important – in the studio you spend a lot of time and energy really trying to get this perfect sound, make it as good as you can. It’s pretty depressing when people don’t experience any of that. Following the London event, Pink Floyd released a new video for “Nothing Part 14” as the latest tune previewed from the package. The track was part of the writing process of the 23-minute epic, “Echoes”, that makes up side 2 of 1971’s “Meddle.” The full song combined elements of 20 individual jams before bassist Roger Waters added lyrics to complete the tune. Pink Floyd issued their final album, “The Endless River”, in 2014. 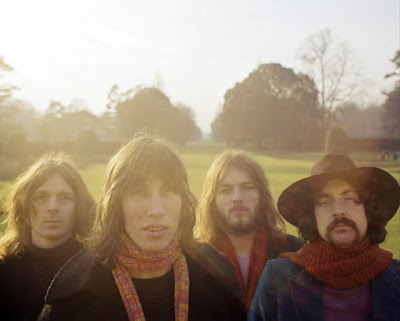 The project featured material recorded by Mason, David Gilmour and Richard Wright during sessions for 1994’s “The Division Bell.” The album also served as a tribute to Wright, who died from cancer in 2008 at the age of 65.